Wasiu is the know-it-all, chief troublemaker in his gang (Ebisinde and Shina) always coming up with a new master plan to earn them some fast cash. However, will the boys' pursuit for riches take its toll on their friendship and land them in greater trouble than they could have ever imagined? Tomiwa Tegbe has a wide range of experience on both the big and little screens after having starred in productions such as Ebonylife TV’s ‘On The Real’ and ‘Growing Old’. The trained actor gained his merits at the Ronyaman Arts Acting Masterclass and since then, he has worked with some of the most talented African and international actors in the industry. 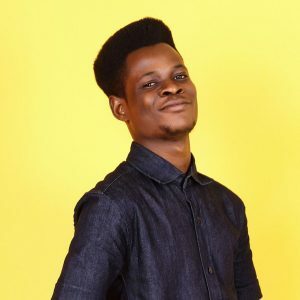 Tomiwa loves a challenge and takes on the character of Wasiu for MTV Shuga Naija.